At Sports Star Trophies, we believe that recognition matters. That’s why we’re proud to present our extensive line of trophies and awards that are available for order across Australia. We specialise in helping our clients recognise the achievements of others. Through our website, you can order trophies, ribbons, medals, plaques and other awards that have been customised to honour individuals and teams at your next event. We operate a trophy shop from Perth with products available Australia wide, with a range of delivery options. We provide a special service to regional areas of Australia as we know trophies are hard to obtain in these areas. We also deliver to Perth, Darwin, Adelaide, Canberra, Hobart, Melbourne and Sydney – with free engraving on all orders. Buying customised, high-quality trophies online to use as awards for your upcoming event or competition let’s participants know that you truly value their accomplishments. It also sends a message to spectators, underscoring the significance of the event you’re hosting. Figurine trophies: Depicting scenes from Australia’s favourite sports, including Australian Rules football, soccer, volleyball, golf and so much more; you can also select an all-sports trophy suitable for a wide range of competitions. Cups: Add an air of prestige to the award by giving the top team or competitor a regal-looking cup trophy. 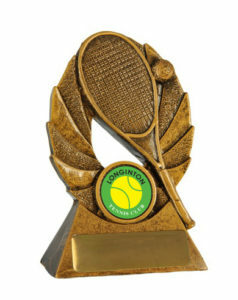 Plaques and shields: This style of trophy allows you to honour a specific competitor by adding their name to a plaque that also displays the names of previous winners. Medals and medal cases: Nothing is quite as prestigious as receiving a medal for an outstanding achievement; a case ensures that the recipient can easily store and keep the award for longer. Perpetuals: These trophies change hands year-to-year so that they’re always resting with the most recent winners; they can also be updated with the names of each year’s winning teams or individuals. Award ribbons: Ideal for anything from school contests to performance competitions, ribbons come in a variety of colours and sizes and can be customised to reflect the details of your event. Special awards: We also stock a wide selection of special awards – everything from customised key fobs to decorative mugs and other novelty gifts. Whether you’re coaching a child’s football game, hosting a community athletic event or getting ready to hand out prizes at a major festival, you’ll find trophies here in our shop to suit your needs. Our selection includes the latest models that are currently on the market, reflecting contemporary trends to ensure that your award recipients can really take pride in the honour being bestowed upon them. 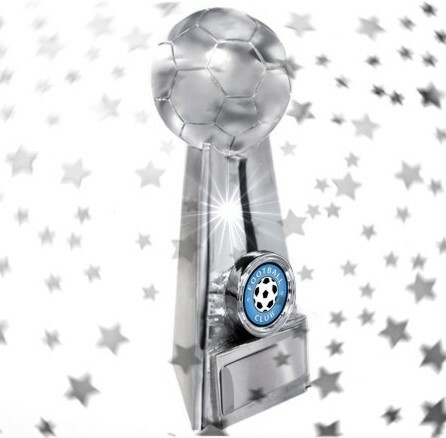 Sports Star Trophies also provide an extensive line of corporate awards. These include tasteful plaques that are available in a variety of colours. Corporate awards feature thick bevelled-edge glass and a tasteful chrome stand. Singling out top achievers amongst the ranks of your staff members is a highly effective means of setting higher standards within your organisational ranks. Doing so allows those who are doing an exceptional job know that their efforts are being noticed. At the same time, it also sets a precedent amongst the rank and file, giving them a standard to aspire to. Of course, all of the corporate-style trophies and plaques that we offer also come with free engraving. You craft a message that best represents your organisational image and the spirit of the competition, and we’ll see to it that it’s perfectly etched onto the plaque surface. At Sports Star Trophies, our top priority is creating high-quality trophies and other awards that your organisation would be proud to hand out, and your recipients honoured to receive. To accomplish this, we begin by selecting only the top trophy bases from which to build our selection. We also make sure that each model we work with is one that we would feel honoured to receive. But this is only the beginning of our service model. We also place a high priority on speed and efficiency. Our range of trophies, plaques, medals and perpetuals are available on a fast turnaround. We offer free engraving and can also provide fast warehouse-direct shipping that could see your custom engraved trophy arriving in as few as three days. Our entire range of trophies is available for shipment across Australia. You can order through our website and customise your trophies at check out. All you have to do is indicate your engraving text before you complete your order. To get started, simply click on the category of trophy you’re interested in purchasing. And don’t hesitate to contact us should you have questions.